The train is passing the Biaschina spirals shortly after 24 minutes. It will pass the passage we are searching at 40 minutes. The exact picture spotting place is at about 42,40 minutes. How is this place called? By the way an amazing view of the Gotthard railway from the drivers cab of a locomotive. 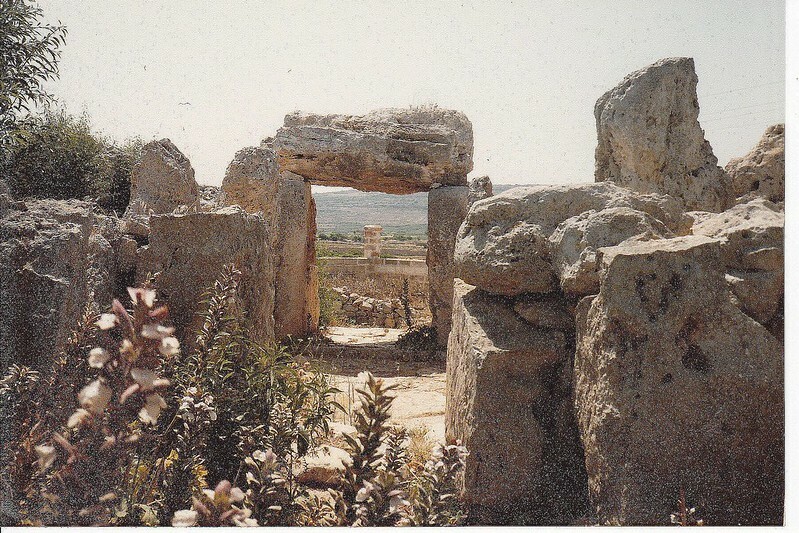 ​Maybe the road twist could be la stada della Tremola? So we would be in Leventina valley....or anywhere else there are trains,mountains and Ralf. La Strada della tremola is the old road from Airolo to the Gotthard pass. Train and highway are far deeper in tunnels here. So it is not the right place. Another try.Faido which seems to be a busy place for trains and roads trafic.There is also a twist road in its area. Very good, Yves. Faido (755m) is close enough. Northbound trains have to climb from there first the Prato - spiraltunnel to reach Pardorea (851m), then they pass the Freggio - spiraltunnel (shortly after this one i took the picture), then the train reaches Rodi-Fiesso (942m). 11km later comes Airolo and the Southern entrance of the (now old) Gotthard tunnel. Freight trains and fast passenger trains do not take this route anymore, since the new tunnel (57km long) was opened at 01.06.2016. ​Yes I read your post but last week I was in my deep countryside in Pays d'Auge where I am not well connected.We are not up-to-date in this area!!! Interesting. Winter, shortly before noon, looks like an abandoned monastery, but the closed shutters are in good shape, so i guess there is still something going on behind those walls. The monastery seems to be partly integrated in a rock. The building on the right edge looks abandoned, they have removed the shutters, but there are many lamps in front of the ground floor, maybe there is a restaurant, which is still in use... but where is it? Is it the Trinity Chapel in St Emilion, in the Dordogne? I can't entirely tell the difference between the Monolithic Church and the Trinity Chapel - but I'm assuming it's one of the two - or both! Mark dind't placed a new one. and wich famous vessel is this? WOW. A new puzzle as a Xmas gift.Thank you Thijs. As usual,first question, are we in Europe? Yes. You now. I don't go far. Looking at these pictures I think we are in The Netherlands. The breakwaters indicate somewhere on a body of water with enough fetch to create waves, but not at the open coast. So that leaves the two great inland seas, Zuiderzee (aka IJsselmeer) or possibly the lee side of the offshore islands. I venture a guess we are somewhere along the shore of IJsselmeer. the Zuiderzee and/or IJsselmeer are one and the same. 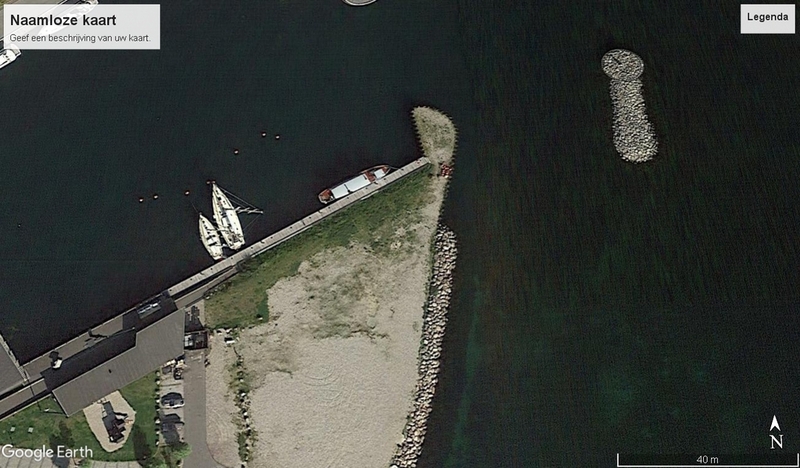 Since they upgraded it my Google Earth doesn't work properly on my ancient laptop, but I think this is Tuborg Havn, Copenhagen, and I think I can guess the vessel that is moored alongside there - a very special one. Something tells me you already must look for a new puzzle to post Ivy! Could you wait for 2 weeks to solve this? How did you found that so quick? Well, I worked backwards really, Thijs. When I saw you had posted a puzzle I thought "Oh good, now we'll have some fun." Then I looked at your Google Earth map and wasn't so sure - I had no idea where to start. At first I hadn't noticed your little note beneath the second image so didn't know which vessel you meant. The larger of the two sailing ships didn't seem big enough to match up with any of the Tall Ships I'd seen at Gt. Yarmouth. Then suddenly a big goldenTHOUGHT arrived. Thijs had told us that the buyer of the Janihudi had taken her off to Denmark where she was moored at a marina just outside Copenhagen. Could it be???????? 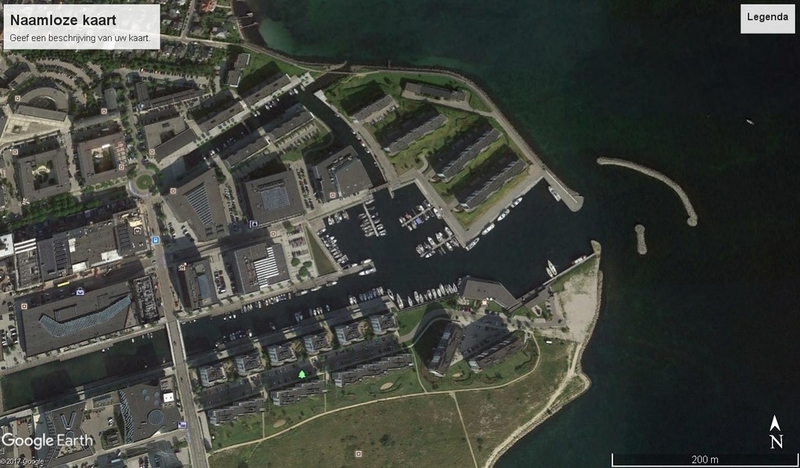 I looked again at your map and this time, seeing your little note, rushed to Google maps, crawled around Copenhagen a bit, identified the unusual breakwater shapes and then switched to the satellite version, enlarging it. And if that wasn't the Janihudi lying there then my name wasn't Wherrygirl. Gotcha! All very simple, you see. Yes i had mentioned it, but that was 1.5years back. I was looking in danmark for a former race track at GE. Wel over to you Ivy. I've not felt all that good since before Christmas. I feel no better now. Have discovered a piece of my back guttering is hanging down because of the gales. And the next person who wishes me a Happy New Year will be throttled with my own fair hands. first of all, a happy new year to you my dearest Ivy. sad to hear about the guttering, more work to do. also here are the big gales,so big that al the storm barriers are closed. the big doors in Rotterdam too,last time for the need was 10 years back. Today was the first time ever, that al the Dutch barriers were closed. nope, feeling nothing around my neck so far. Last edited by janihudi; January 4th, 2018, 01:24.